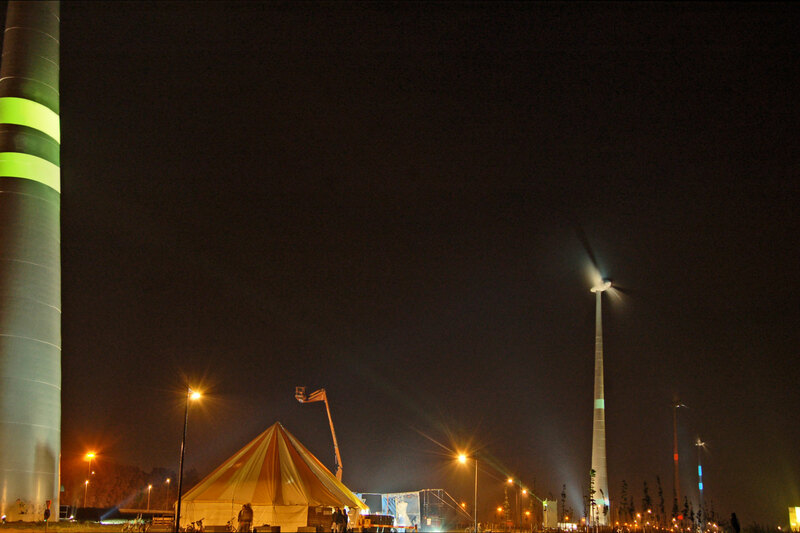 The four supporting columns of Belgium’s highest wind turbines were transformed into meters, at an epic scale, monitoring the ecological impact of Kortrijk’s annual all night arts festival. 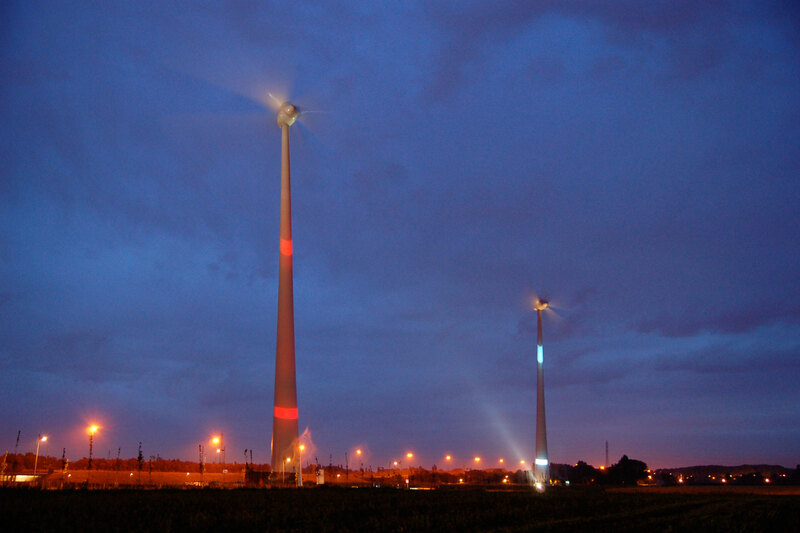 The consumption of energy and water, and the production of noise and waste were indicated by two rings of projected light moving up and down the turbines. 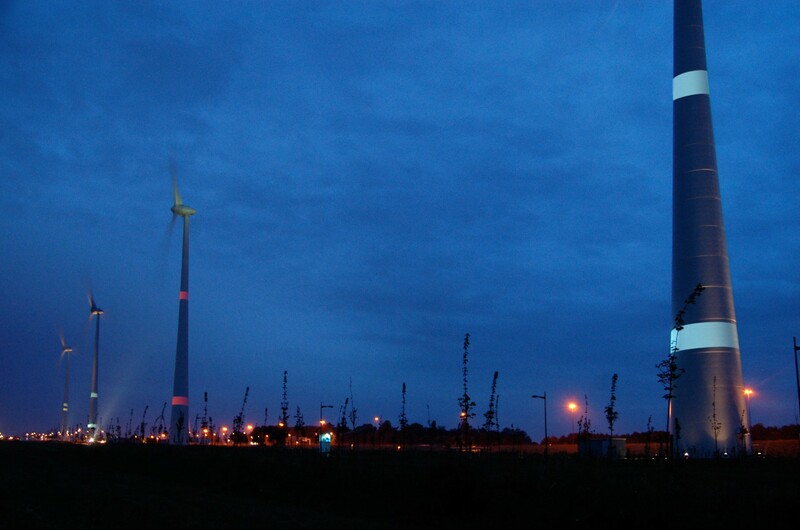 The columns of the turbines became an adjunct to the whole event, the festival feeding Monometer as if a living organism, with the illuminated rings being its visible façade, for the surrounding region to see. As night fell, the wind turbines disappeared leaving only the rings of light high in space.